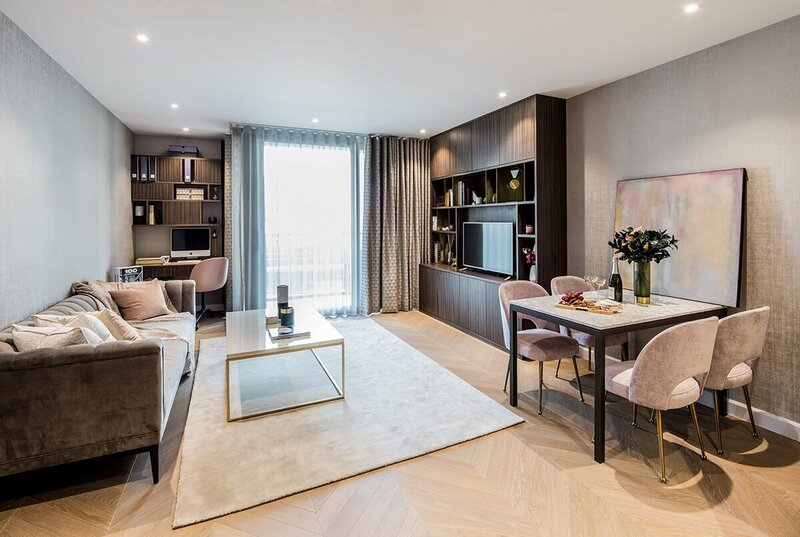 Temza completed luxury interior design service in this upscale 2 bedroom apartment in the heart of Westminster. 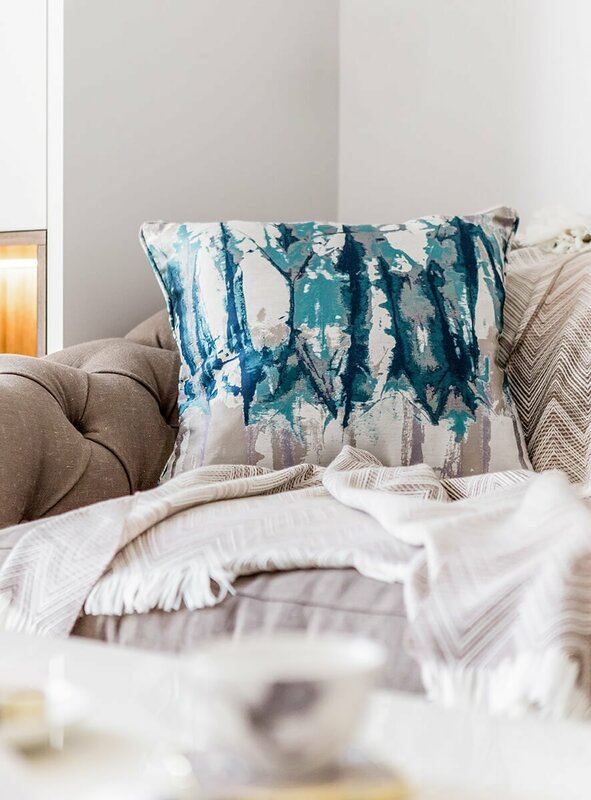 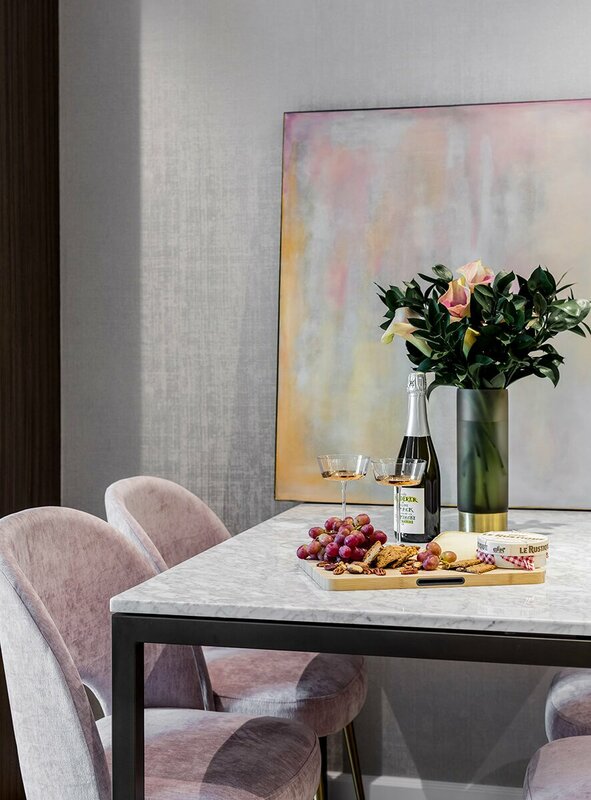 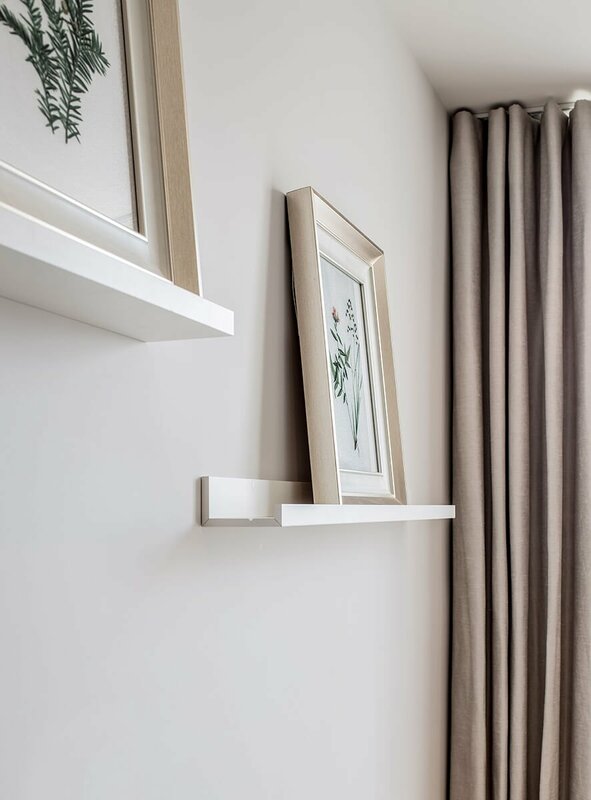 Our team created elegant and on-trend interiors to perfectly complement the client’s personal style while offering a quick solution, as all the works were completed in 5 weeks while the client was traveling. 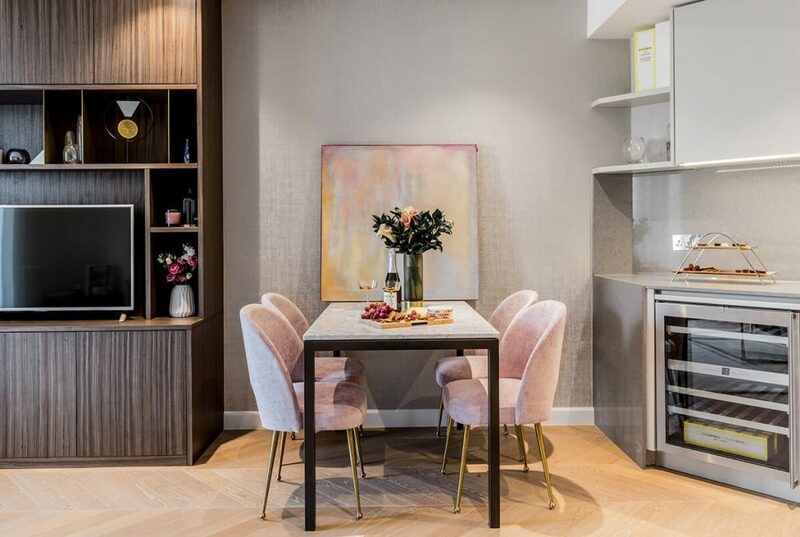 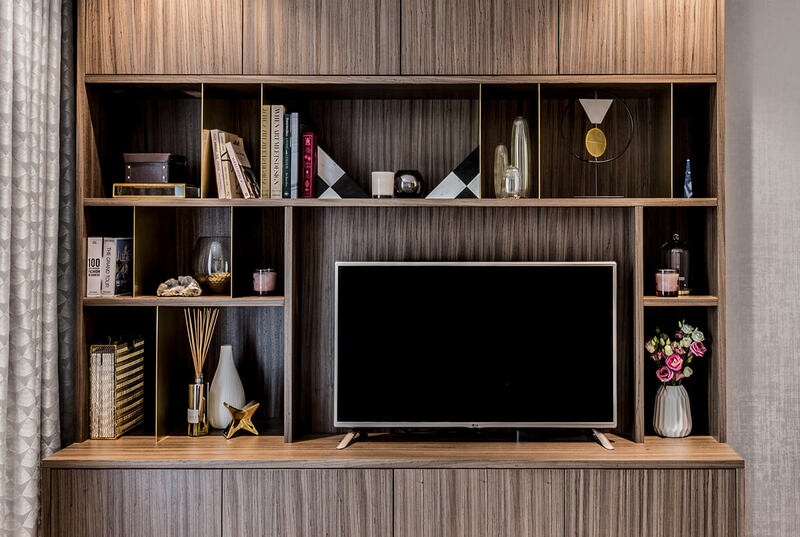 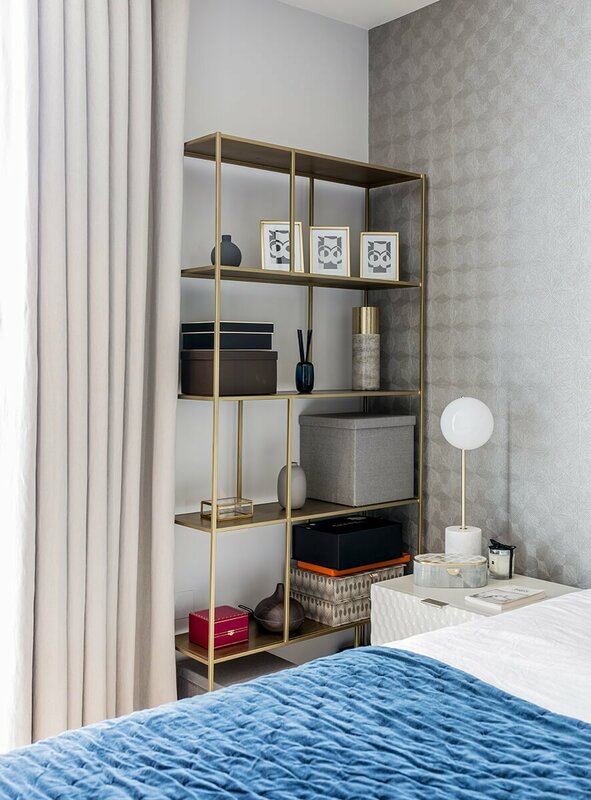 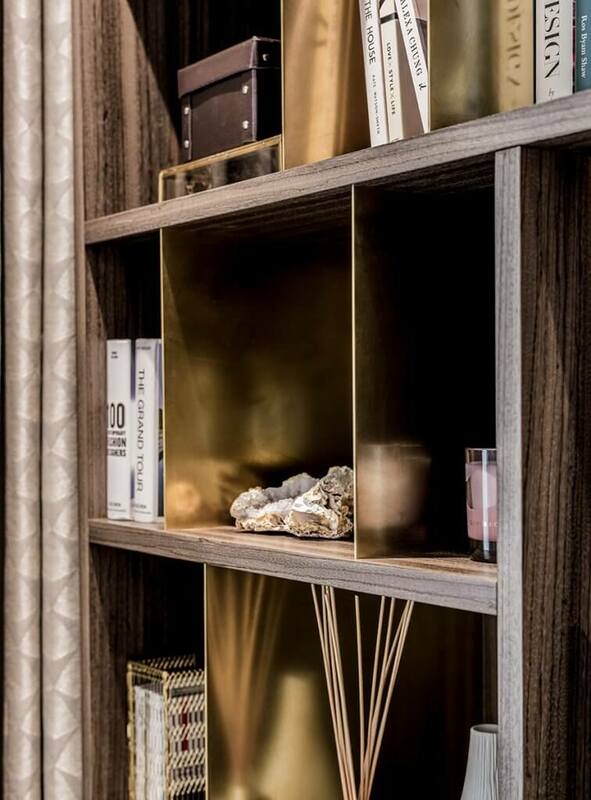 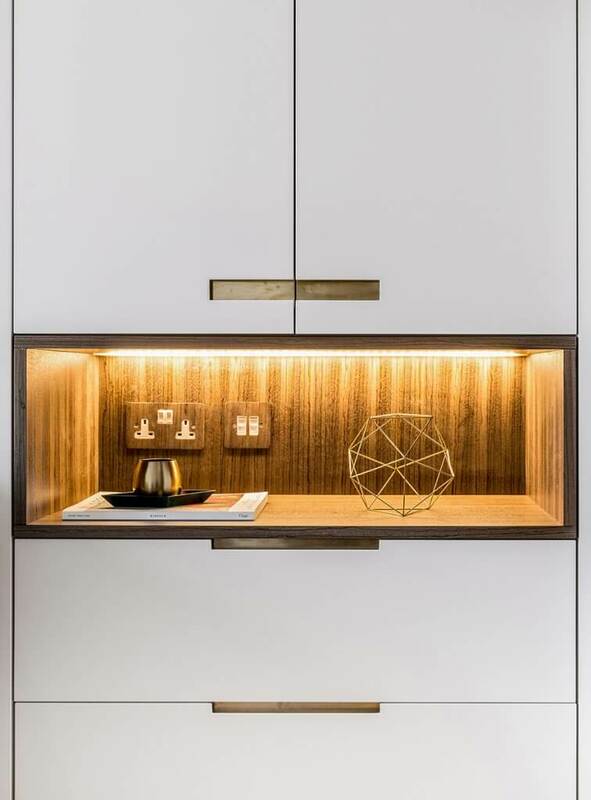 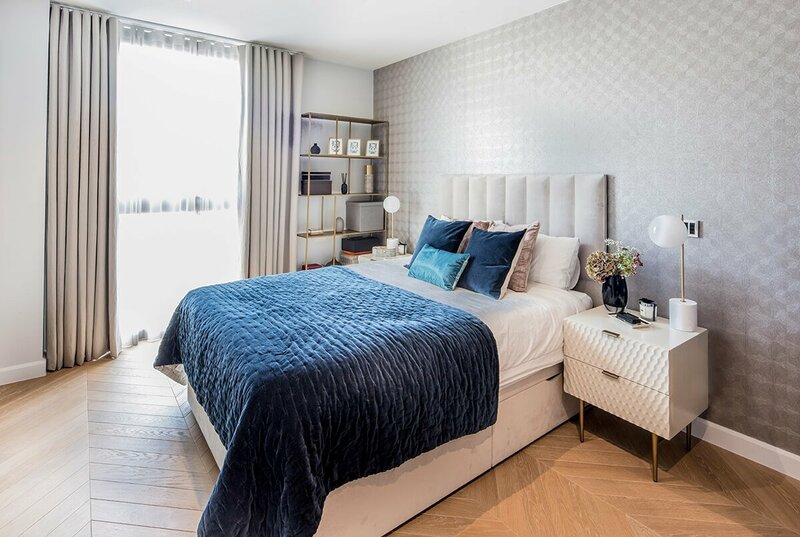 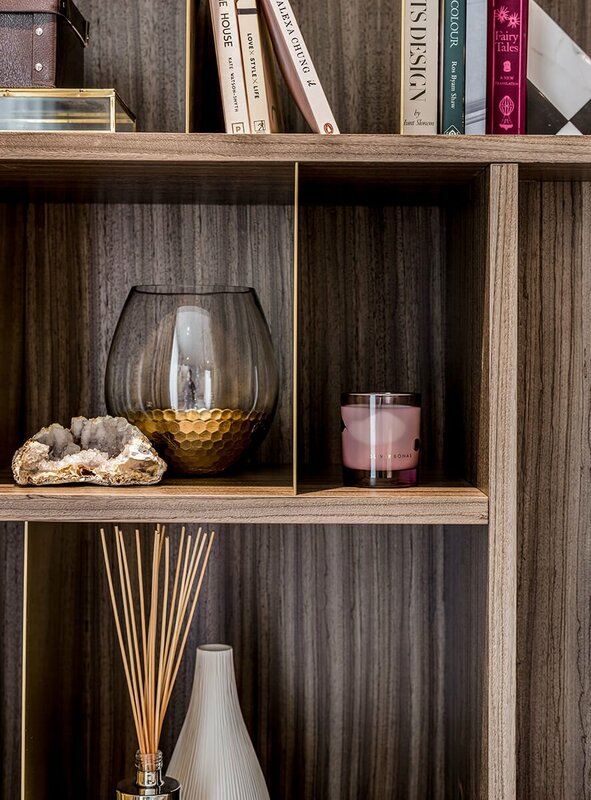 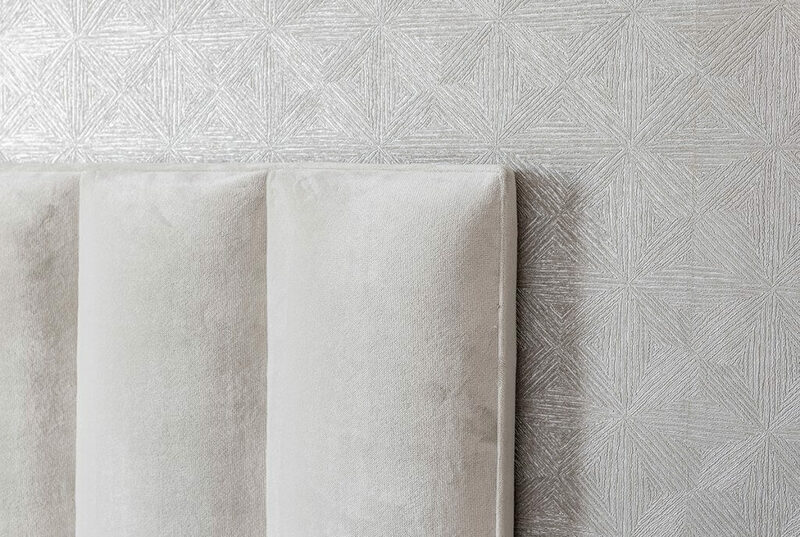 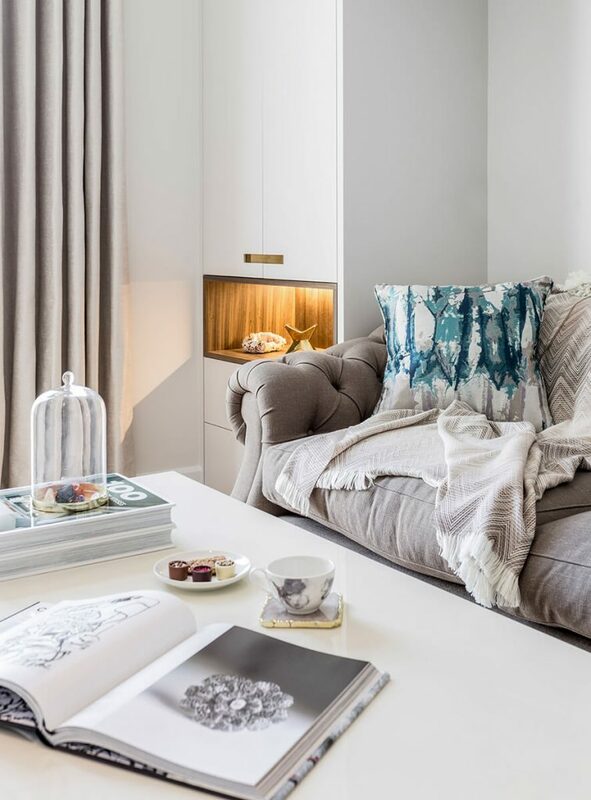 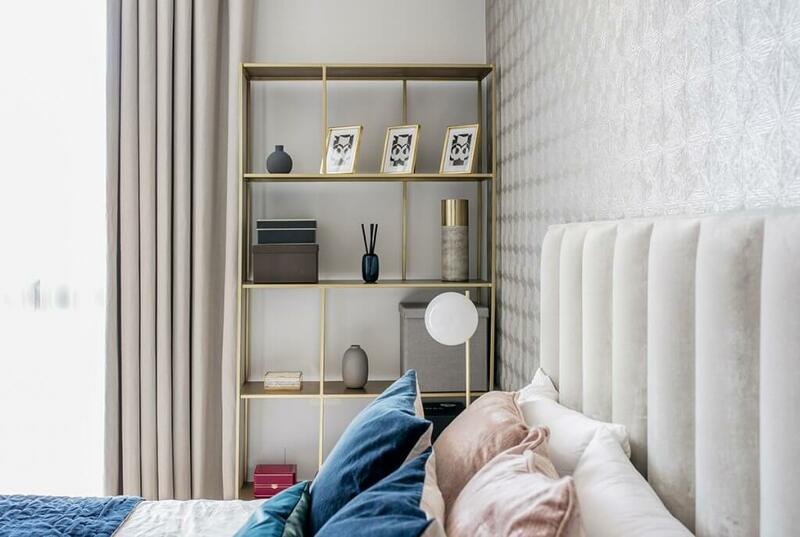 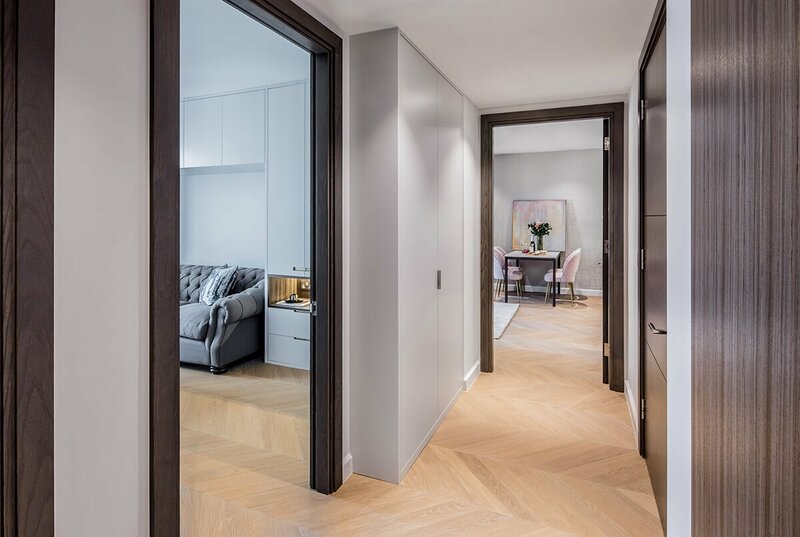 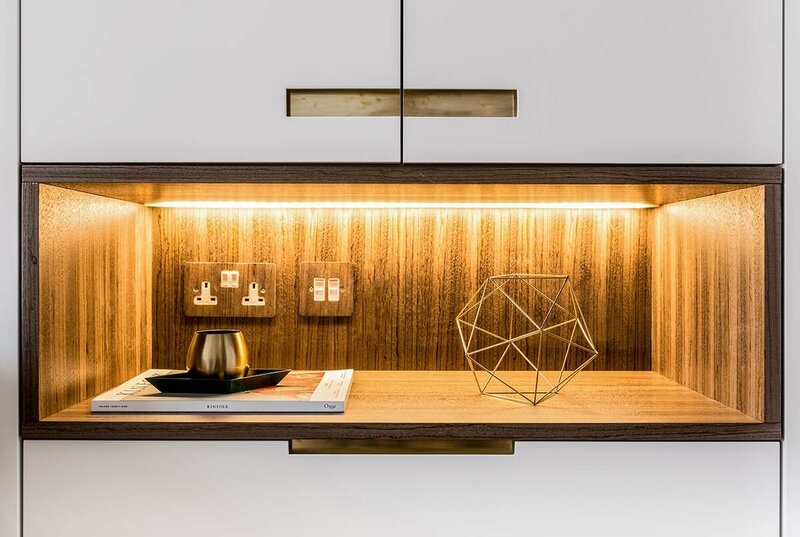 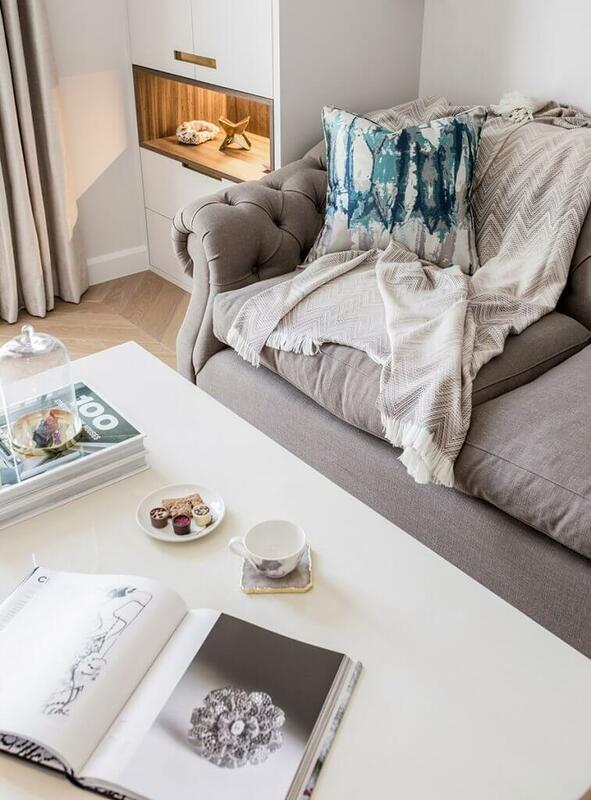 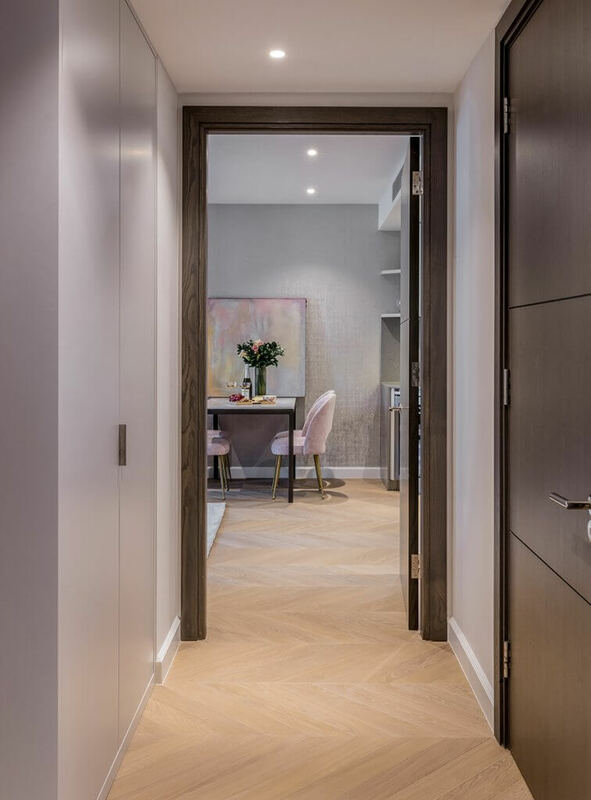 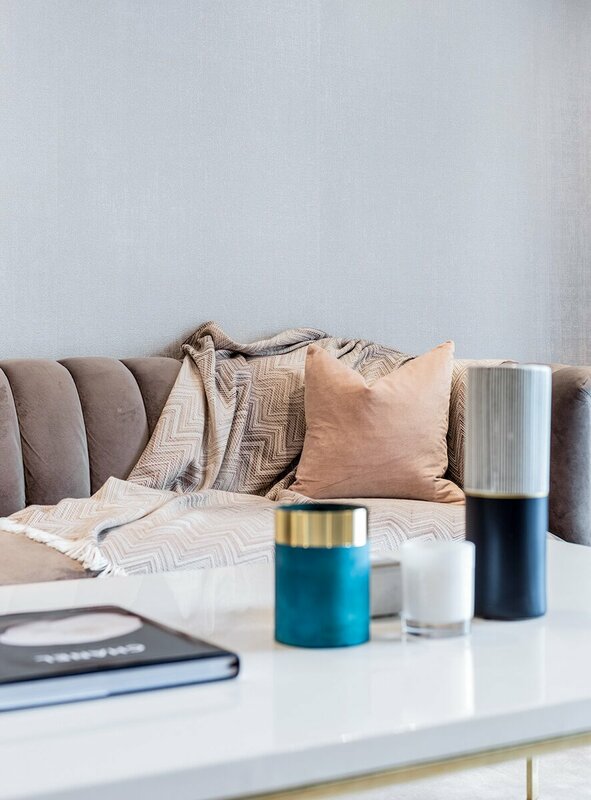 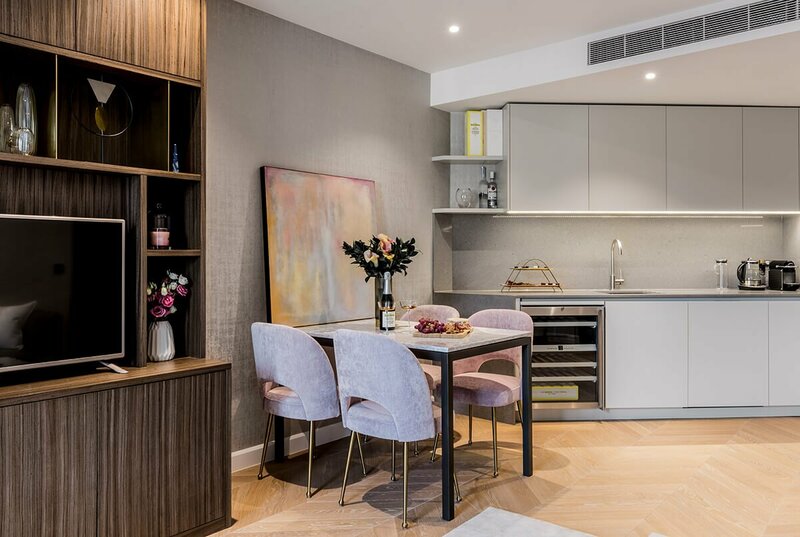 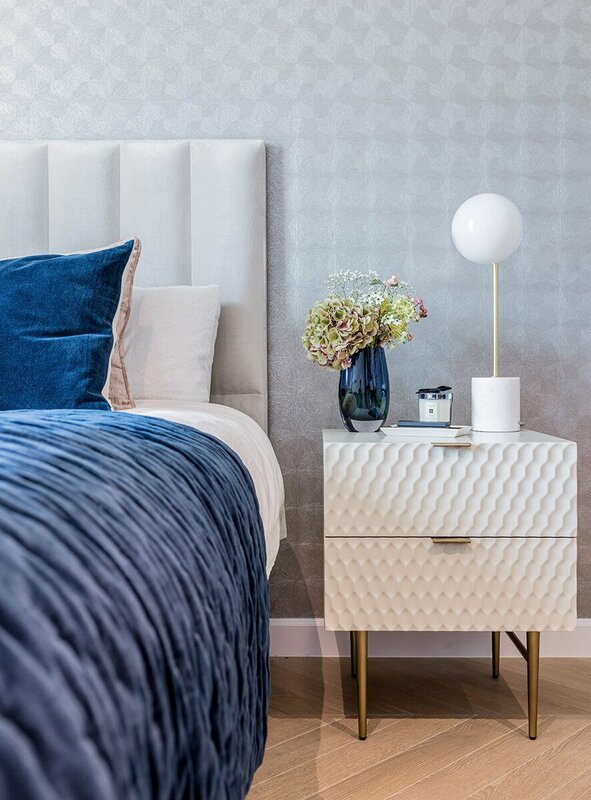 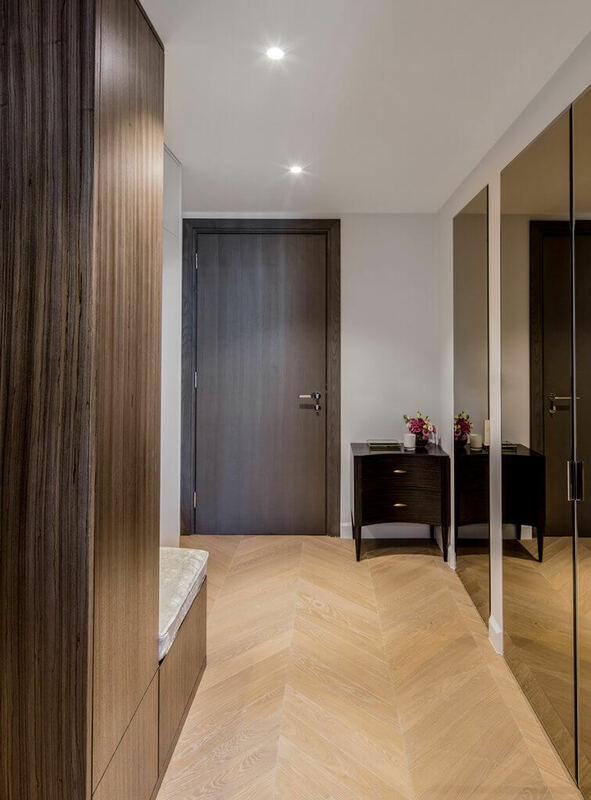 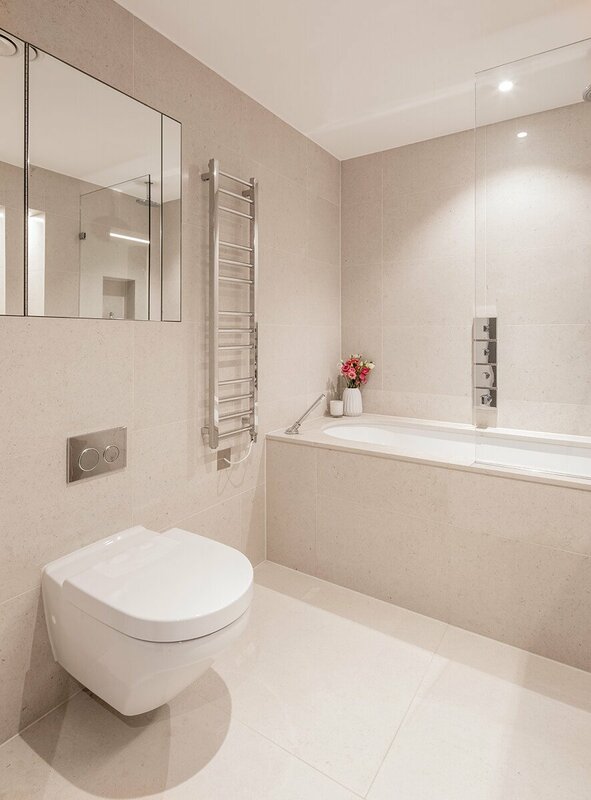 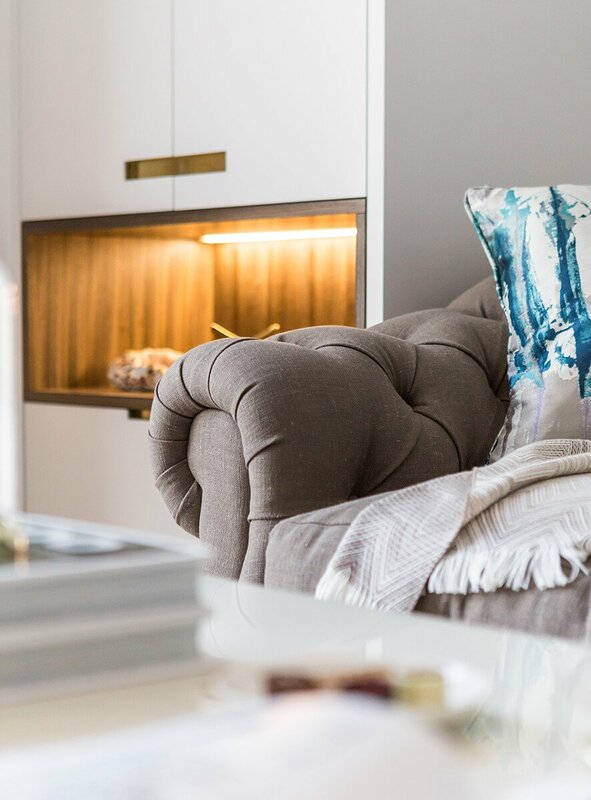 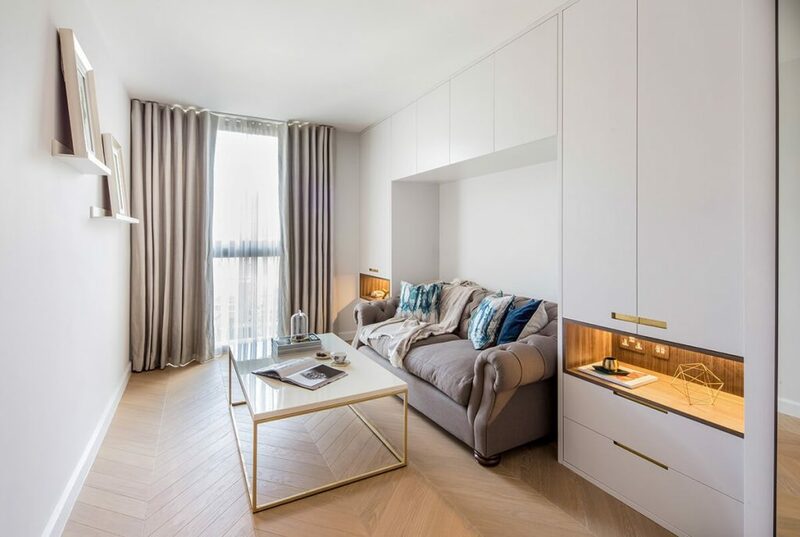 The face of the apartment was changed completely with new bespoke chevron flooring, new kitchen fronts and splashback, opulent wall coverings and window dressings as well as luxurious bespoke joinery to provide plenty of storage space. 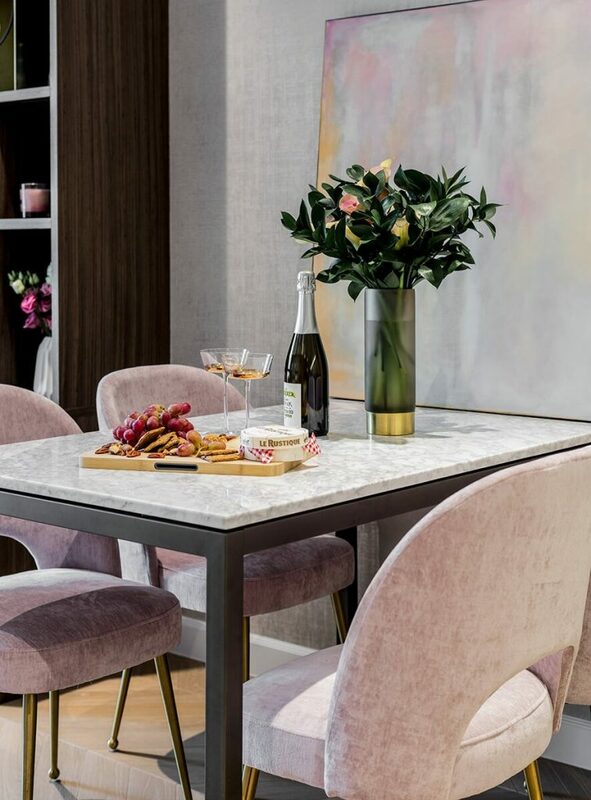 To complete the look Temza also designed and installed an exquisitely curated high-end furniture and accessories package.